For many years, we have talked to customers about shelf-ready packaging. Now, we need to consider how packaging design helps to make an impact and showcase products in online videos. If ‘YouTube Unboxing’ is an unfamiliar term, let us explain. This is the process of receiving a new product, considering the packaging, opening the box to reveal the contents and then reviewing the goods inside. Critically, the process is videoed and shared online. As consumers, we like to read reviews before making purchasing decisions. From gadgets to hotel bookings, hearing the opinions of others helps to inform our choices. Video is the ideal media for sharing visual and audio content. It allows the audience to feel as though they are participating in the unveiling and testing of the item. This method of review is particularly popular for toys, tech, fashion and beauty. In these industries, the consumer is always on the lookout for the next big thing. The individuals posting on YouTube Unboxing channels tend to specialise in one type of product and their videos can be viewed by thousands of followers. If the ‘influencer’ gives a favourable review, it will undoubtedly boost sales. As the name suggests, the online review begins with an unopened box. The packaging design is the first element to be reviewed. The imagery, information, shape and overall appearance are considered and commented on. The box is then opened. Ideally, this is intuitive. The camera then focuses on the inside of the packaging, which can be enhanced with inserts, print and other details. The product is then removed from the packaging before being put to the test. As such, the packaging design plays a vital role in setting expectations and getting things off to a great start. One of our customers, Net Duma have designed a unique product for the gaming market. Their router helps to fix lag issues which is a frustrating issue for online gamers. They were keen to ensure that this product gained exposure via YouTube Unboxing. The company may have developed a ‘one of a kind’ product that could solve a common problem, but they knew that every detail had to be spot on if they were to benefit from the influencers. The packaging design had to protect the product and stand up to Unboxing reviews. We worked with them to develop the packaging design. This included cardboard inserts to hold the router in place, with a separate area for the cable and plug. A simple instruction card was designed to aid the installation of the product, which sits on top of the router. These were held within a high-quality, printed box with spot varnish. Collectively, this presented the product in a strong light. 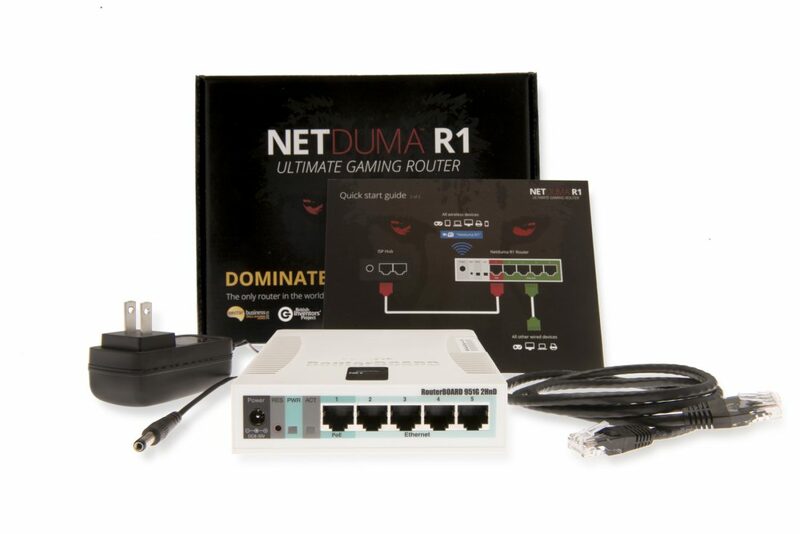 Net Duma’s gaming router and packaging have been reviewed by many YouTube Unboxing influencers. These have helped to promote the product in Europe and America. If you are considering YouTube Unboxing as part of your marketing strategy, it is time to talk with a packaging manufacturer like Aylesbury Box Company. We can help you develop bespoke packaging, with a high-quality finish, that really adds the wow factor. Get in touch with our team on 01296 436888.